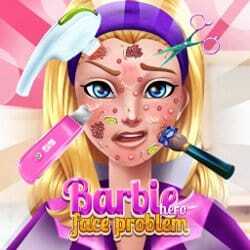 Hey girls, Super Barbie is saving the world all the time but today she is the one that needs to be saved. She has accepted a challenge and she needs a fashion adviser to help her win it. 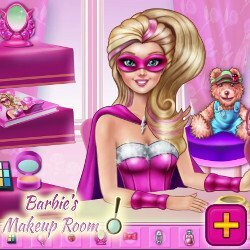 In this fun new Super Barbie Catwalk Challenge game you can be Super Barbie’s fashion adviser and your task is to help her win the catwalk challenge. Think you are ready for this? You must be very creative! Use your fashion skills to create three different outfits for Super Barbie’s catwalk challenge. She must look fabulous and perfect and the fashion show is about to start. You must find a beautiful evening dress and accessorize it. Chose a lovely color and add some glitz. 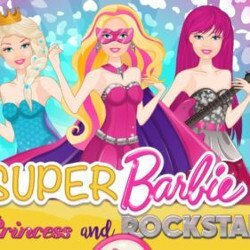 Super Barbie also needs a glam outfit and an urban chic one. If you look inside the wardrobe you will find so many gorgeous dresses and chic accessories but you must create the best combination. Help Super Barbie look absolutely breathtaking on the catwalk and help her win this challenge. 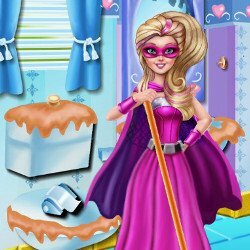 Have fun playing this super exciting game called Super Barbie Catwalk Challenge!